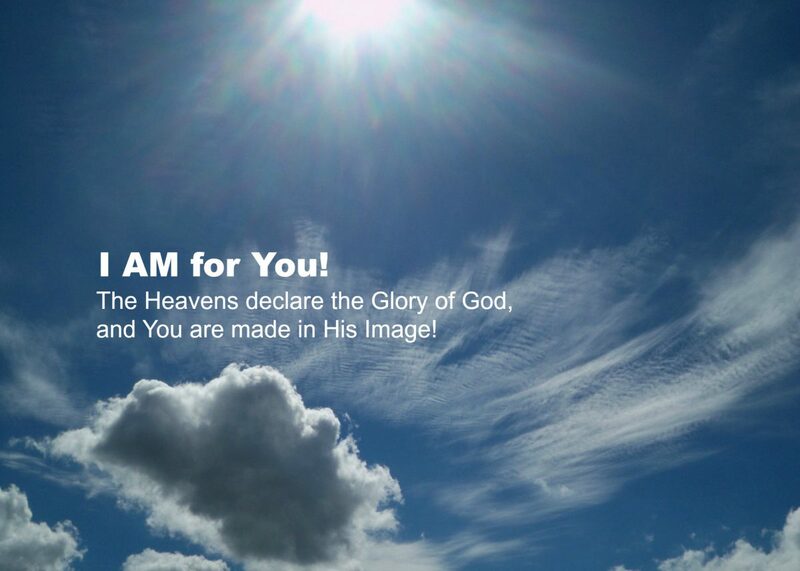 More from Karen… – I AM for You! When I come knocking at your door. Do this for me, your Father up above. And without my power it’s something you can’t do. So I’ve sent my Holy Spirit To live inside of you. You have a power like none on earth. When you believed, my Spirit filled you. It was then, I gave you a brand new birth. So go love one another! That I am with you always Until the very end of time.